Truly one of the toughest, most popular and easy care houseplants! 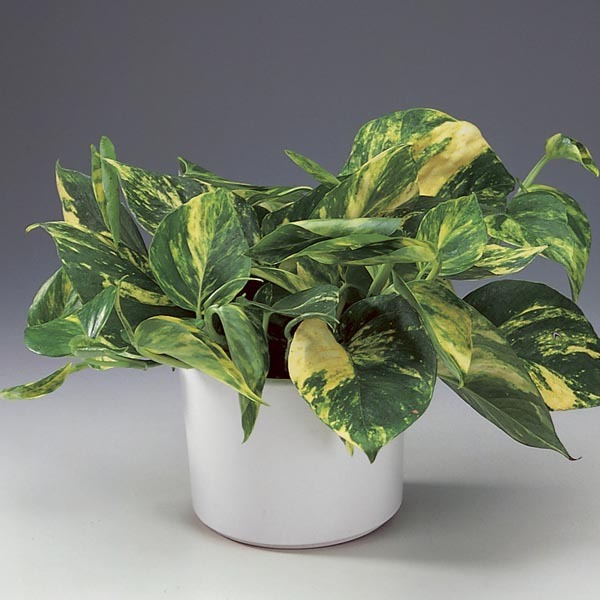 Golden Pothos sends out trailing stems of green leaves, variegated with white or gold. 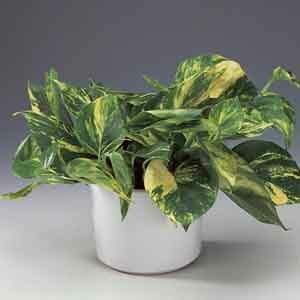 The variegation is more pronounced when they are grown in bright light, but they do adapt to lower light levels. Place where the vines can fall freely or trail along a shelf for the best effect. Looks great grown in containers and hanging baskets. A terrific plant for tall plant stands where the trailing foliage will create a cascade of foliage over time. Very easy to grow. Best in fertile, well-drained soil kept evenly moist.Trim plant freely to maintain desired size and shape.